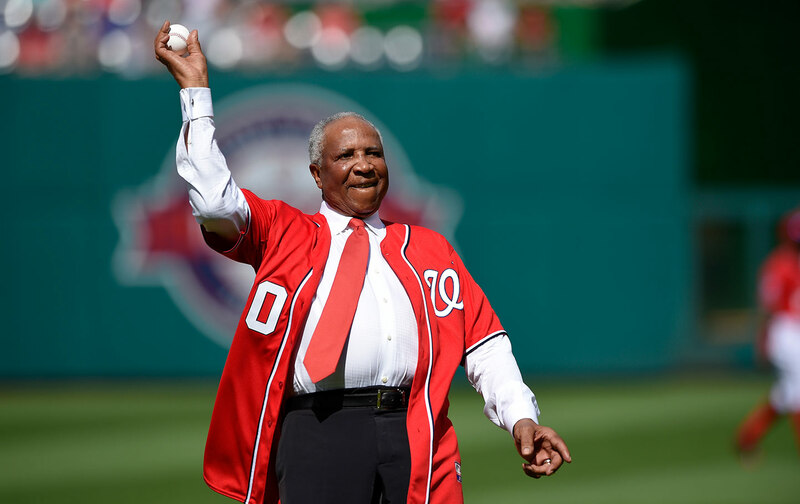 The death of baseball legend Frank Robinson at the age of 83 has produced obituaries with common facts and themes, fitting for someone with such a sterling professional résumé. Robinson was a first ballot Hall of Famer. He remains the only player to have won Most Valuable Player awards in both leagues, for the Cincinnati Reds and Baltimore Orioles. He hit 586 career home runs and he was an All-Star 14 times. There is more to Robinson, though, than someone who carried himself with a fierce dignity on the field and then knocked down the doors into the Major League dugout. That can be seen in his last wishes, conveyed by Robinson’s family, that contributions in his memory be made to the National Civil Rights Museum in Memphis or the National Museum of African American History and Culture in Washington, DC. Baseball has been hiding this ugly prejudice for years—that black aren’t smart enough to be managers or third-base coaches or part of the front office. There’s a belief that they’re fine when it comes to the physical part of the game, but if it involves brains they just can’t handle it. Al Campanis made people finally understand what goes on behind closed doors—that there is racism in baseball. If Jackie Robinson were alive and willing today, would the Lords of Baseball be likely to admit him to their ranks? No. He was too controversial—too honest. He’d create too many problems by speaking up and speaking out. White management doesn’t like black people to speak their minds. They like you to be seen and not heard. And Jackie Robinson wouldn’t put himself in that position. Frank Robinson wouldn’t put himself in that position either. He went on to work inside Major League Baseball to fight for more hiring of Black and Latino candidates and to also manage again with the Orioles, Montreal Expos, and then the Washington Nationals. Frank Robinson was so much more than an athlete. He was a fighter, and we could use more like him in the sports world today.